Tuna, olives, mixed greens and eggs. 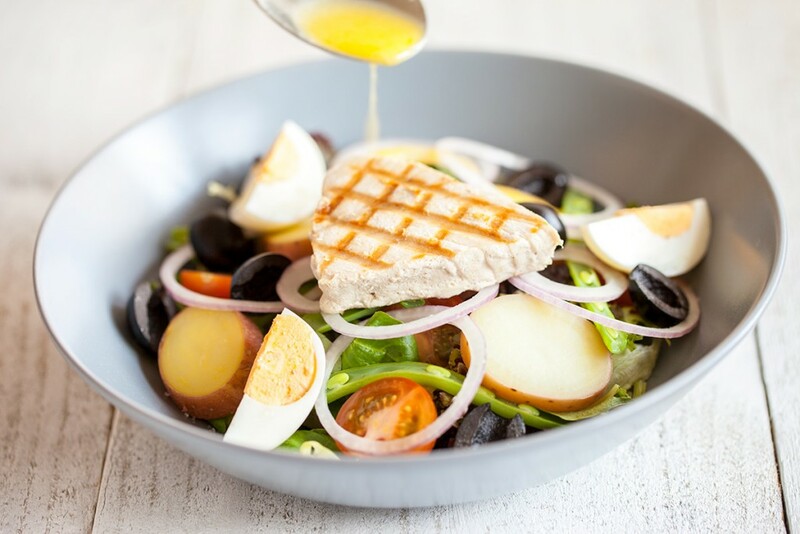 There are just so much flavors in this niçoise salad salad. Serves up to four people.